A new chapter: Do YOU know Ely's next glassblower? Send them our way! Fire sale! IF the commitment to become a part of Ely's burgeoning arts community downtown is made, we will sell all equipment (including blow pipes, marver table and gaffers bench (!) for $2,000. We are well connected and will help you get your studio set up in a suitable downtown Ely location. There is so much happening in our little big town right now, a fulltime hot glass studio is just what Ely NEEDS. Two years ago the downtown had over 20 vacant storefronts, today only a handful remain. 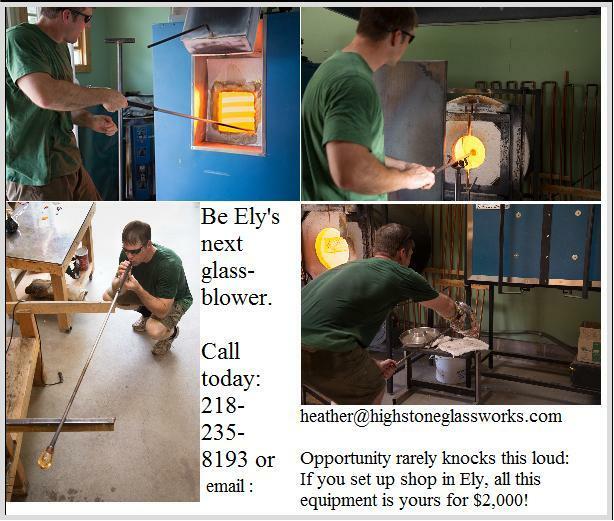 Snap one up in Ely's downtown district or there are rental opportunities in light industrial buildings downtown - so many possibilities, so many opportunities for a glassblower or two or three! Please call us today 218-235-8193. An artistic endeavor started by two people seeking to create a balanced life. 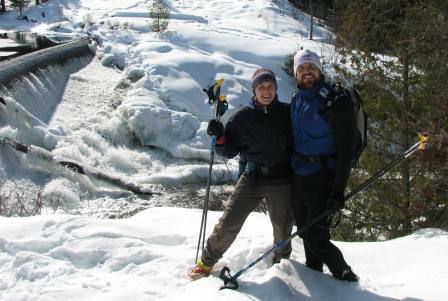 Founded in 2006 in Ely, Minnesota after Todd was "downsized" from the high school science department. He still loves to teach and has found glassblowning to be the perfect blend of "art" and "science" - of "physically active" and yet "thoughtful". Heather brings to HSGW her entrepreneurial and business-system-building skills. Todd returned to teaching at Ely High School in the fall of 2008, their son, Oliver, was born in January 2009, and son, Emory, was born in October 2010. Copyright (c) 2016 Highstone Glassworks. All rights reserved. Design by FreeCSSTemplates.org.